Dimensions: height 68 mm max. 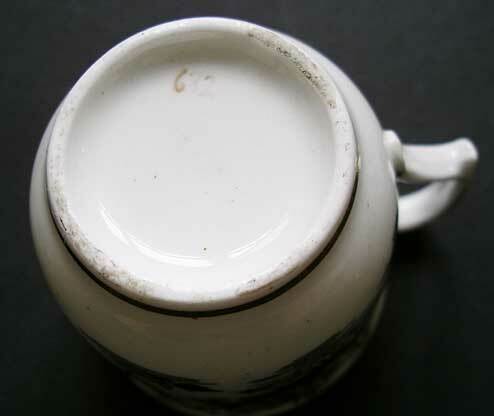 Marks: pattern number 632 as illustrated. 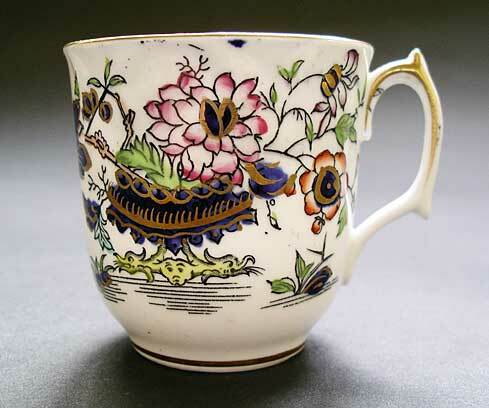 References: A further example of a G.F. Bowers cup in this shape with similar pattern can be found illustrated in G. Godden Ed. 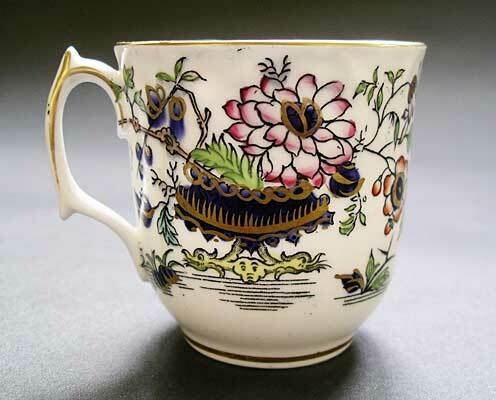 , Staffordshire Porcelain, pp. 392 plate 552. 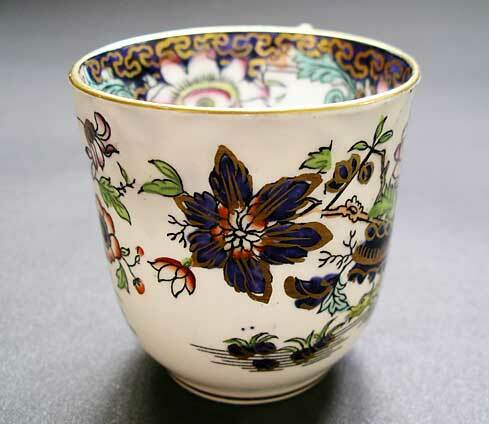 Condition: Cup is in very good condition with no restoration to porcelain. Colours are bright and vibrant. 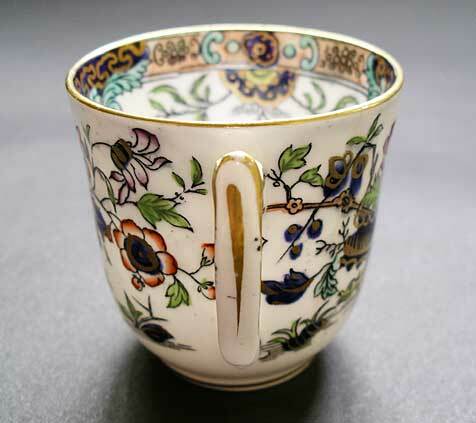 There are minute specs of rubbing to gilding on top flat of cup rim; a very fine faint hairline runs down the cup to the right of the handle and is difficult to spot. Our images for clarity on this item are much greater than life size.